Honor, duty, courage, passion . . . the men of the Navy SEALs are a special breed of hero, and in these novellas by eighteen top romance authors the SEALs are celebrated not only as symbols of devoted service to their country but as the kind of men every woman wants to love. They’ll rescue a damsel in distress and her lap dog, too. They’ll battle hometown dramas and international bad guys. When it comes to giving away their hearts, they’ll risk everything. All proceeds from sales of SEAL of My Dreams go to the Veterans Research Corporation, a non-profit fundraiser for veterans’ medical research. Between them, the authors of SEAL of My Dreams have won dozens of writing awards including multiple RITAs from Romance Writers of America. Their nearly 600 published novels have sold at least 35 million copies worldwide. The SEAL of My Dreams roster includes many of the best-known authors in modern romance fiction. In addition, many have strong family connections to the servicemen and women of our nation’s military, and many specialize in novels featuring heroes and heroines from all branches of service. 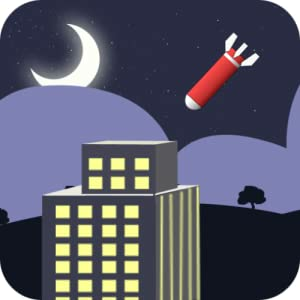 Also within Appstore Deals Amazon offer to get Missile Defender – the game for your Kindle Fire. You can get this app for free, but only today. Defend your city against an enemy bombardment in this touchscreen twist on the classic arcade game. Intercept missiles, upgrade your defenses, and play through limitless levels. See how long you’re able to hold out before your physical and psychological defenses crumble. Incoming missiles rain down at night–tap on the screen and use the multi-touch feature to launch interceptors. Repairs and upgrades are available during the day, as you steel yourself for yet another fear-stricken night. Missile Defender is in the style of a classic 80s arcade game. It features clean HD art work, multi-touch controls, upgradable missiles, and endless levels of gameplay–without the oppressive fear of a real-world nuclear brinkmanship. If you’ve enjoyed those old quarter-guzzlers, Missile Defender is sure to bring back great memories. Prepare to get nostalgic as you defend civilization from anachronistic existential threats in Missile Defender! This entry was posted in Kindle Applications, Kindle Apps, Kindle Books, Kindle Daily Deal and tagged Alison Kent, Barbara Samuel, Christie Ridgway, Cindy Gerad, Elle Kennedy, Gennita Low, Helen Brenna, HelenKay Dimon, Jami Alden, Jo Leigh, Kylie Brant, Leslie Kelly, Loreth Anne White, Marliss Melton, Missile Defender, Roxanne St. Clair, SEAL of My Dreams, Stephanie Bond, Stephanie Tyler, Tara Janzen by Paul. Bookmark the permalink.